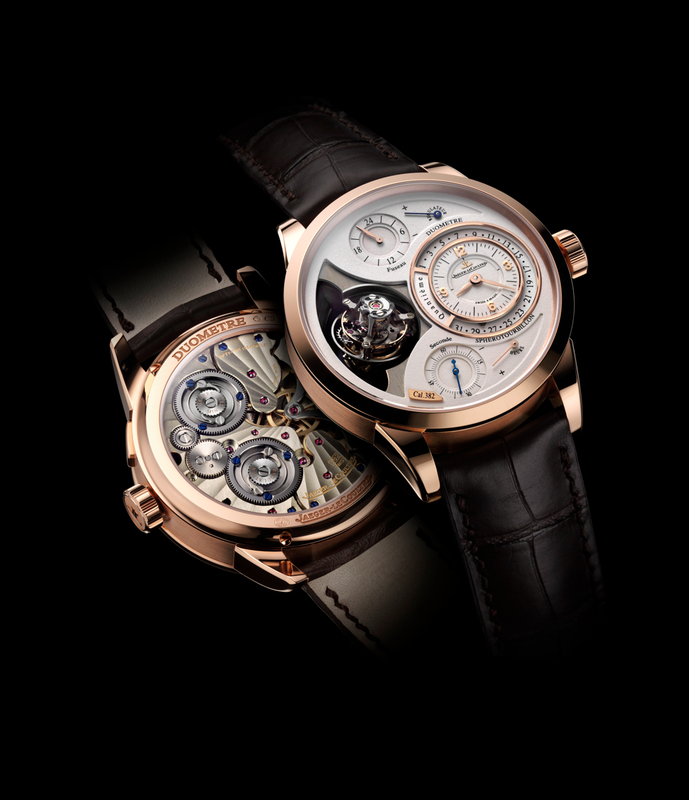 Last month at the Salon International de la Haute Horlogerie (SIHH) in Geneva, Jaeger-LeCoultre unveiled the Duomètre à Sphérotourbillon, a tourbillon wristwatch that is both visually and technically amazing. In Geneva, I met with Stéphane Belmont, Marketing Director at Jaeger-LeCoultre, and we discussed the historic importance of a tourbillon in watchmaking. As you probably already know, the first tourbillon was developed by Abraham-Louis Breguet around 1795; its purpose was to counter the effects of gravity by mounting the escapement and balance wheel in a rotating cage, thus improving the accuracy of the timepiece’s regulating organs. Back then, the tourbillon was used to increase the precision of a timepiece. Nowadays, the majority of companies produce tourbillons, just for looks. They are rarely used to make timepieces more precise anymore. 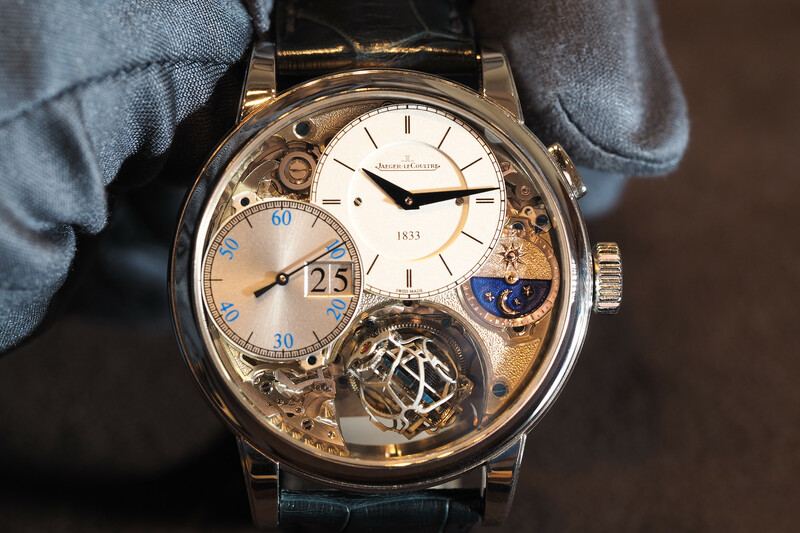 Stéphane summed it up in a few short words, “there are tourbillons, then there are tourbillons.” At Jaeger-LeCoultre, they actually use the tourbillon as a means to increase the accuracy of the timepiece, not just for looks. The Duomètre à Sphérotourbillon may look mesmerizing to the wearer or onlooker, but it is also ridiculously precise. In fact, according to Stéphane, the Sphérotourbillon is showing rate results of 1 +/- second per day. And they predict that with more testing and adjustments they can get it to run even more accurately, like the Gyrotourbillon for example (which runs at 0.5 +/- seconds per day). The Duomètre à Sphérotourbillon is a technological tour de force in watchmaking. 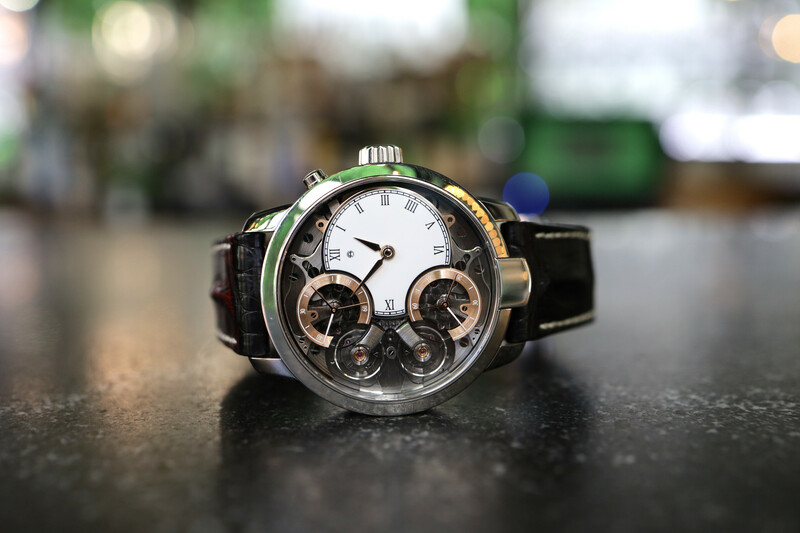 Further proof that the Grande Maison is one of the best watch manufactures in the world. The Sphérotourbillon has a sophisticated multi-axis tourbillon with an inner rotation that takes place every 15-seconds and an outer revolution that takes place every 30-seconds. The balance wheel is large in diameter and is made of 14k gold, chosen for its heaviness. 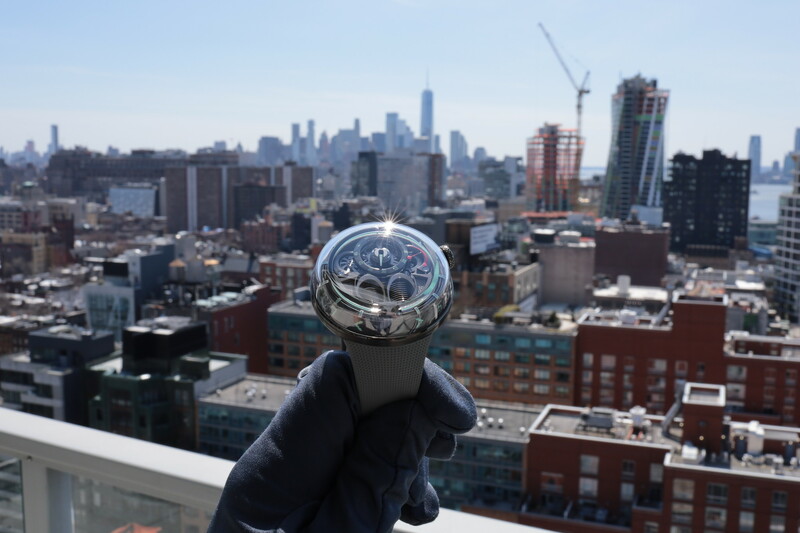 The tourbillon carriage is machined from a single block of titanium, for lightness and extreme precision. The stud holder is in aluminum, which is also used for its lightness. Inside the carriage, is a cylindrical balance spring, sourced from A. Lange & Sohne’s in-house balance spring production facility in Glashutte, then adjusted and installed by Jaeger-LeCoultre’s watchmakers in the Vallee de Joux. The cylindrical spiral (a rare cylinder shaped balance spring – looks like a slinky) makes it possible to reproduce the superb timekeeping performance of marine chronometers. For the first time in a tourbillon, the seconds can be reset via a fly-back button which allows the watch to be adjusted to a precise instance of time. This is possible because of the the dual-wing concept. “The principle behind the revolutionary Dual-Wing concept involves two independent mechanisms, each with its own source of energy (hence the two power barrels), but sharing a common regulating organ.” Turning the crown one way winds the barrel powering the time indications, turning the crown the other way winds the barrel powering the escapement. The home time and date are indicated in the subdial at 3 o’clock, a second 24-hour timezone is indicated at 12 o’clock and the flyback seconds are indicated at 6 o’clock. Gauges at 1 and 5 o’clock indicate the power reserve for each of the barrels. In keeping with the traditions for high-complications at Jaeger-LeCoultre, the movement features an untreated German silver mainplate and bridges that will become even more beautiful with age. The movement even features the manufacture’s own exclusive finish – côtes soleillées decoration. Jaeger-LeCoultre somehow managed to fit this horological masterpiece (caliber 382) into a conservatively sized case (42 mm by 14 mm). Retail price is $262,000 in pink gold and $282,000 in platinum.